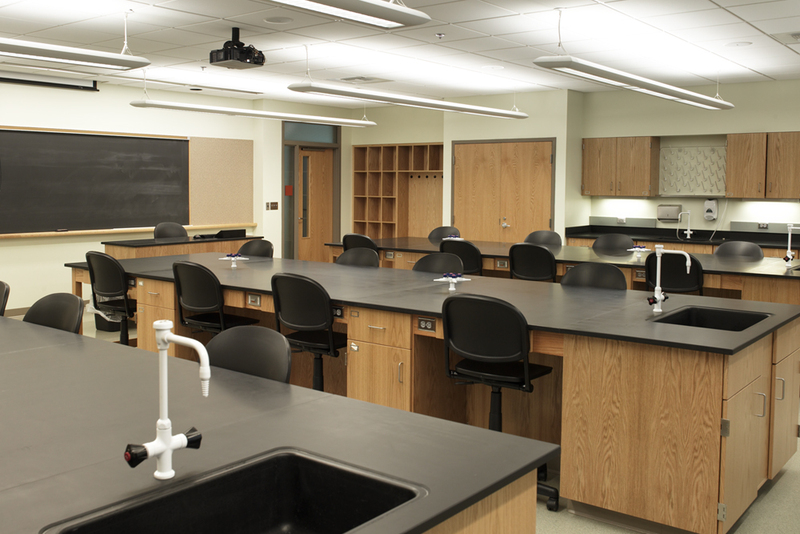 The new 48,000sf Stratton Hall is home to Wells College’s undergraduate biology, chemistry, environmental studies, and physics programs. The building was designed to intentionally integrate the four sciences to promote a multi-disciplinary approach. 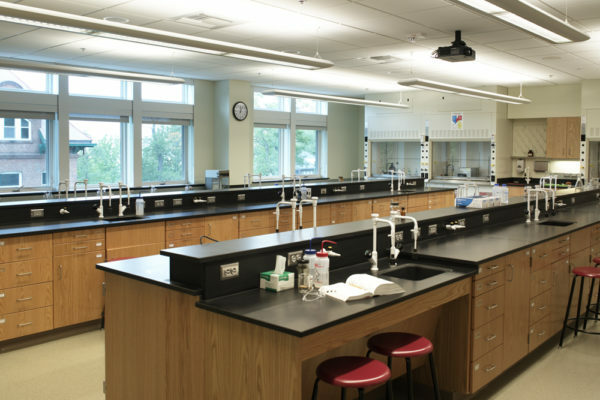 Undergraduate research labs are adjacent to teaching labs of the same discipline and stacked to maximize efficiencies for lab hoods and other utilities. General use classrooms are dispersed throughout the building affording easy access for all. A 2-story atrium facilitates social and intellectual meeting, and encourages casual interdisciplinary interaction. The lower level provides a rich first impression and directs visitors directly to the 90-seat lecture hall with space for receptions. The upper level brings natural light deep into the space and has casual seating areas designed and arranged to foster study and collaboration. Stratton Hall feels stately and accommodating from the inside and is thoughtfully responsive to historic campus character from the outside – resembling a building that may have always been a part of the historic campus.